Internationally known martial artist, Hanshi Jason David Frank is an 8th Degree Black Belt stemming from 40+ years of training, teaching, and personal growth. At age 4, he began his journey at Red Dragon Karate under the guidance of Shihan Louis D Casamassa, setting into motion his future of living by the Code of the Dragon. At age 12, Hanshi Jason David Frank earned his first Black Belt and became committed to passing on the Code of the Dragon through teaching. Within 6 years, at the young age of 18, Hanshi Frank became the owner of Red Dragon Karate where he began his journey 14 years before. At the age of 19, he was cast as Tommy Oliver on the internationally known series “Mighty Morphin Power Rangers.” Frank continued this role for 12 years, starring in 3 seasons “Mighty Morphin Power Rangers”, “Power Rangers Turbo”, “Power Rangers Zeo” and “Power Rangers Dino Thunder.” He also starred in the films “Mighty Morphin Power Rangers” and “Power Rangers Turbo.” Hanshi Frank‘s portrayal of Tommy Oliver was the longest running ranger in the series. Jason David Frank continues to have a dedicated and supportive fan base stretching the globe. 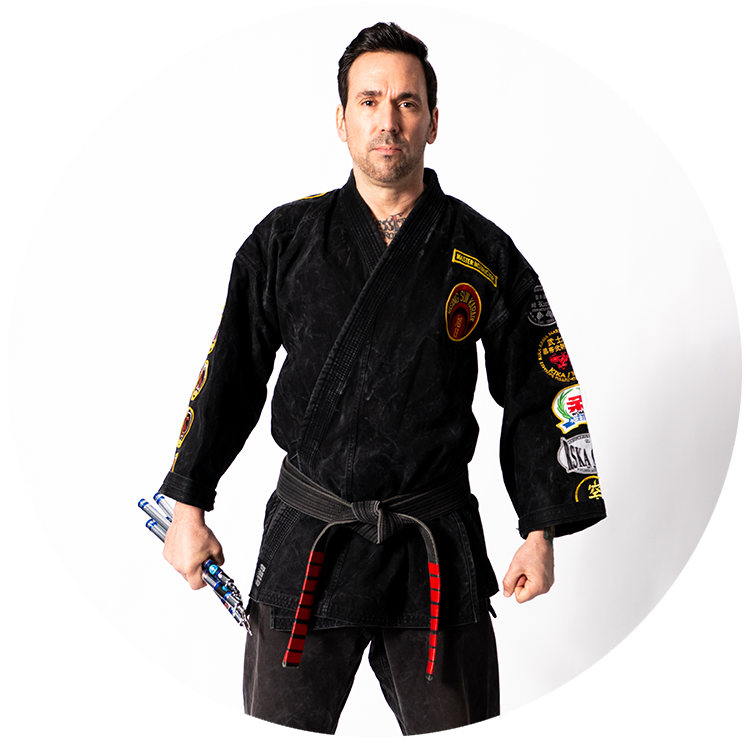 Hanshi Jason David Frank continued to expand his martial arts knowledge while filming the Power Rangers series and movies. Through his studies, he concluded that there was not one single style of martial arts that was all encompassing and thus in 1994, created his own system called Toso Kune Do meaning “Way of the Fighting Fist.” This style inforporates many different forms of martial arts and encourages the journey to personal excellence. Hanshi Frank opened schools under the name Toso Kune Do and in 1996, he was introduced to his future business partner and lifelong friend Kyoshi Rick Herbster, the owner of the Rising Sun Karate Academy in New Jersey. RSKA Corp was established soon after. Hanshi Frank has trained with a long list of prestigious and internationally known martial artists including ShiHan Louis D. Casamassa, Sensei Chris Casamassa, Kyoshi Rick Herbster, Kyoshi Steve la Valle, Benny “The Jet” Urquidez, Stan Ward, and most recently with world-renowned Muay Thai trainer Grand Master Toddy. Grand Master Toddy has inspired Hanshi Frank’s full contact Muay Thai career. Hanshi Frank understands that dedication and hard work in life and martial arts can have a longstanding impact on people’s lives. Jason David Frank continues to grow and share his experience in martial arts so that others can benefit from the art, just as he did.